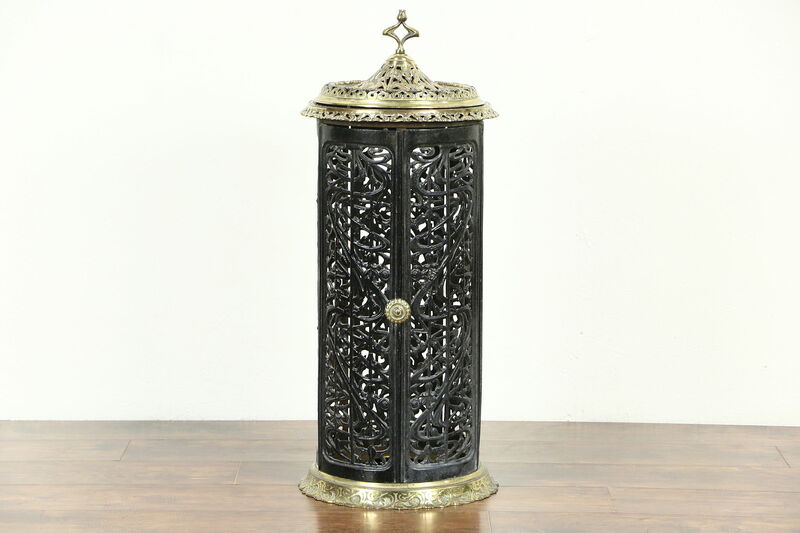 A French filigree cast iron and brass heating stove from about 1900 is signed "Fie St. Joseph A. Couvin." The interior burner is missing on this European antique stand. Two doors open on the side, the removable lid has a crack, see photos. Measurements are 15" diameter and 36" tall.